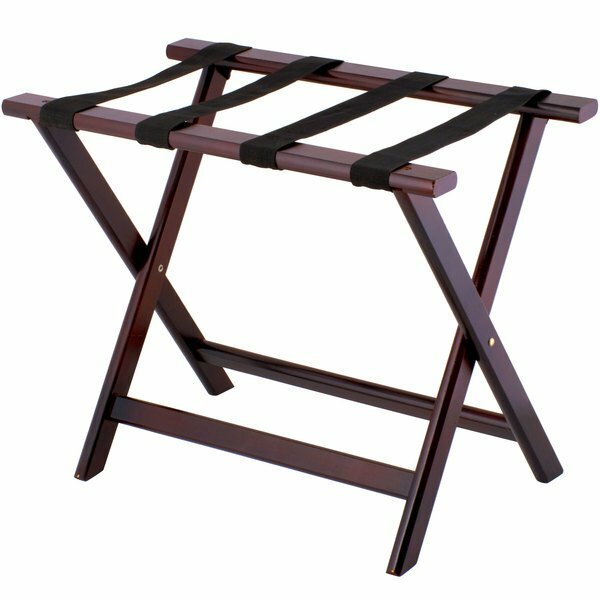 Give your guests a safe, secure stand to hold their luggage off the floor with this Lancaster Table & Seating 24 1/2" x 15" x 20" mahogany wood folding luggage rack. This luggage rack's rich mahogany finish ensures a professional appearance that's great for hotels and motels, alike. The space-saving folding design ensures out-of-the-way storage yet it flips open easily for instant service.